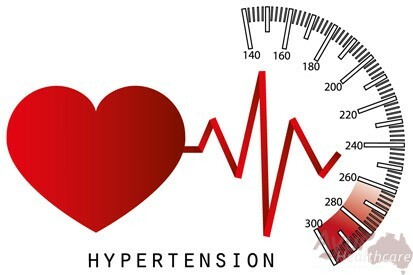 Hypertension, the cause of hypertension is idiopathic or unknown, this is a one sentence essay on hypertension up to this moment in medical history. secondary hypertension counts renal Pathology in aetiology. This paves the way for investigating a holistic procedure by which cure for hypertension becomes a reality or at least the side effects producing drugs can be lowered. In the body every drug is destroyed in the detoxifying organ liver and we have to perpetually use the drug facing tolerance problems and Side effects which if not monitored can be harmful. Marma abhyanga :- which is massage with special emphasis to increase the vital energy of 108 points in human body ,the effect of which is increased longevity bestowing good eyesight and compaction of skin and connective tissues beneath favouring senile blood pressure due to lack of elasticity of blood vessels. Udvartana therapy :-This includes scientific reverse massage with medicated powders which melts the kapha that is humour, liquidate the fat and helps itsexcretion through the channels of body as sebum excretions. The dynamic equilibrium achieved excretes the unwanted calories as the oils on the skin and it is toned with health. All this happens when body has Ojas the supreme balanced state of good health without accumulation of morbidity. Udvartana enhances lymphatic drainage to purify the body by rejuvenation of immune system. Takradhara therapy :- treatments like takradhara calm down the nervous system. Medicated buttermilk is created by physician after computing the constitutional permutations of doshas in imbalance this calmes down the central nervous system and balances the homeostatic imbalances of parasympathetic and sympathetic nervous systems favouring homeostasis resulting in correction of blood pressure . Mild purgative therapy :-which helps to clean up the morbid bowels and re-establish the intestinal flora with good microbes. Congenial diet regime, yoga therapy with meditation on the other hand tranquilizers the mind, body and soul, thus calming down the irritant part of epinephrine paving the way for lessening beta blocker medicines which in young patients cause drug induced impotency. The final touch is the scientific dietary regime which categorises food as Saamana palliative Swastahita extremely healthy and kopana that food which always increases the disease the patients are given palliative and extremely healthy foods in relation to the heart and circulatory system.